1979. The dawn of Thatcher's Britain. It's a country crippled by strikes, joblessness and economic gloom, divided by race and class - and skanking to a new beat: 2-Tone. The unruly offspring of white boy punk and rude boy ska, the new music's undeniable leaders were The Specials. Bursting out of Coventry's concrete jungle, their lyrics spoke of failed marriages, petty violence, crowded dance floors, gangsters and race hate - but with a wit that outshone their angry punk forebears. On stage they were electric, and at the heart of this energy was the vocal chemistry of the ethereal Terry Hall and Jamaican rude boy Neville Staple. In 1961, aged only five, Neville was sent to England to live with his father - a man for whom discipline bordered on child abuse. Growing up black in the Midlands of the Sixties and Seventies wasn't easy, but then Nev was hardly an angel. His youth was marked by scuffles with skins, compulsive womanising, and a life of crime that led from shoplifting to burglary and eventually borstal and Wormwood Scrubs. But throughout there was music, and now Nev tells how a very bad boy became part of the most important band of the Eighties. He remembers sound system battles; the legendary 2-Tone tour with The Selecter, Madness and Dexy's - and their clashes with NF thugs. He recalls the band's increasing tensions and eventual split; his subsequent foray into bubblegum pop with Fun Boy Three; and a new found fame in America, as godfather to bands like Gwen Stefani's No Doubt. 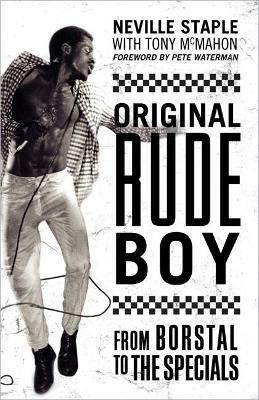 Finally he reflects on The Specials' reunion and how even now, thirty years on, they can't help tearing themselves apart.Raucous and charming Original Rude Boy is the story of a man who done too much, much too young. Neville Staple was a frontman with The Specials, a member of the hugely successful pop trio Fun Boy Three and now tours the world with own his own ska act The Neville Staple Band. Visit him at: www.nevillestaple.co.uk Tony McMahon is a journalist and TV producer living in south London. Neville Staple is a singer for the two-tone ska band, The Specials, as well as his own combo, the Neville Staple Band. Along with Ranking Roger, he also sings in Special Beat.